I just couldn't resist sharing this gossip with you...are you ready? Will you spread it? I hate to disappoint you, but its all positive and its all about youth! Uh oh! Its a rarity that we use our media platforms to talk about the positive accomplishments of the younger generations, but I love doing it on my blog...so here is some good news you may have missed out of Houston (my hometown) and Chicago. 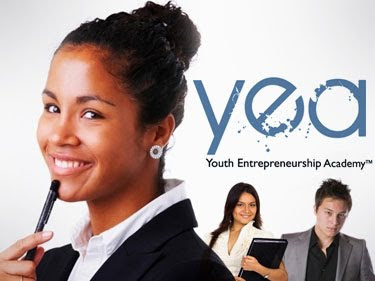 Texas Business Alliance recently launched its Youth Entrepreneurship Academy® ("YEA") program. From among nearly 100 applicants, 15 youth were selected to participate in the seven-month entrepreneurial training program. The program will primarily be housed at the Jesse H. Jones School of Business at Texas Southern University. "We are honored to have a role in helping to shape the futures of the Youth Entrepreneurship Academy® participants" said Dr. Joseph L. Boyd, dean of the Texas Southern University School of Business. "We believe in the YEA goal of equipping our youth, while growing the number of new, qualified small businesses in the area and ensuring their growth, self-sufficiency and sustainability." "We are extremely excited about YEA Class I," said Texas Business Alliance Founder and CEO Jeffrey L. Boney. "Many of our young people today are motivated and talented, and simply need hands-on mentoring to accomplish their goals. With the assistance of our sponsors and volunteers, YEA will fill the role of helping youth have an entrepreneurial alternative to reaching the American dream." YEA selection criteria included: the desire to pursue an entrepreneurial path; community and/or civic involvement, financial need and application completeness. YEA program modules include: the entrepreneur experience, role of entrepreneurs, key characteristics and skills, learning how to spot opportunities, idea generation, business plan creation, marketing, credit management, financial literacy/management, accessing funding, technology, life skills, and community involvement/volunteerism. Congratulations students!! !...but wait there is more....keep reading! According to their press release, the students at Urban Prep Academies, the nation’s first all-boys public charter high school and comprised entirely of African-American males, have achieved what some thought would be impossible – 100 percent of its first senior class has been accepted to college. Seniors, dressed in their uniform of black blazers and khaki pants, exchanged their red ties for a special red and gold striped version as they received college acceptance letters over the last few months. At the ceremony, the seniors most recently admitted to college were presented with their new red and gold striped ties. reading at grade level, and according to the statistics, they faced low graduation and even lower college acceptance levels. But, at Urban Prep “We Believe” that all our students are college bound and never doubted this day would come. We are so proud to announce that all students in our first senior class have been accepted to a four-year college or university, ” said Tim King, founder and CEO of Urban Prep Academies. Let's all continue to support our youth across the globe. Do you have a positive story to share about a young person? Send it to me! As-Salaam-Alaikum, Brother Jesse. I have added your blog to my blog rolls. Wa Laikum Salaam! Thank you Queen!!! I will do so as well.